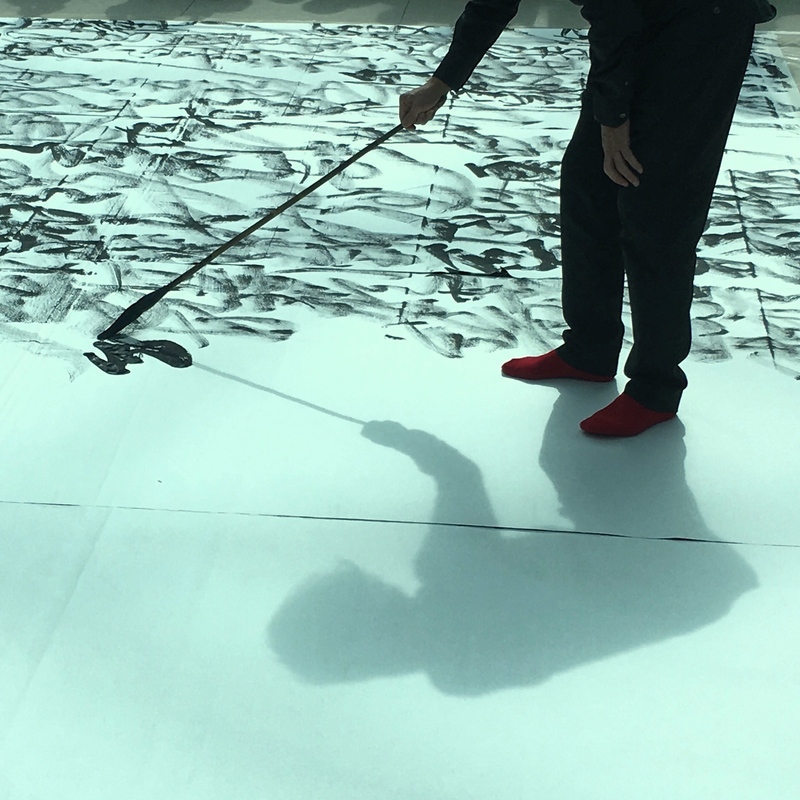 This week saw me attend a Calligraphy Performance by one of the greatest living Chinese brush masters the esteemed Professor Wang Dongling at the British Museum. I remember a personal development tip I picked up a long while back which was to write to a hero and seek their wisdom with a question. And it was similar to that on Friday when I observed Dongling at work. The fluidity of his gesture and attention to the mark whilst being gazed upon was powerful. This aspect of his practice challenges me. It asks of me to look at what I keep private and why? the rehearsing, dry runs and wet brush work before the committed act of ink on paper. It has left me with as many further thoughts as answers but with Open Studios coming up next month. The opportunity to extend my comfort zone and perform, or show my process will move this thinking on.